PMI’s New Agile Certification: Good or Evil? 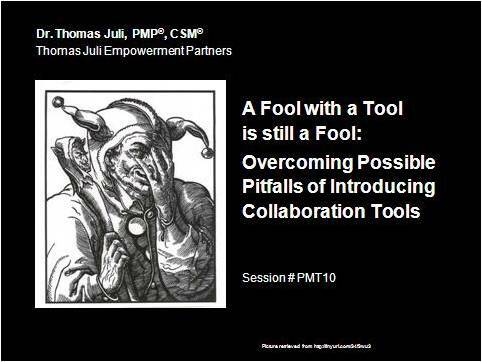 There are some who consider PMI “evil”, others strongly believe in PMI. Now comes PMI’s new Agile certification. As much as skepticism about PMI’s past philosophy of linear, traditional project management is justified, the new certification is a huge milestone for PMI, for the Agile community and for project management in general. Given its global reach PMI will help spread the word and practice of agile project management. This cannot be a bad thing. Just the opposite is true. Whether or not a certification proves that he or she is truly capable of managing or working on an agile project, is another question. It does show that the person has successfully passed an exam. Where the PMI certification is more promising than others is the prerequisites to register and take the exam in the first place. The candidate has to prove his/her actual experience in the agile world prior to taking the exam. Personally, I think this is a much better approach than letting people take an “exam” after a 2 day seminar and then call themselves “master”. In short, a certification is a label; and, it can be much more than that it is paired with actual experience and the right attitude to agile. I am somewhat optimistic that PMI’s new certification will help serve the latter purpose. I believe that Elizabeth Harrin hits the nail on its head. I couldn’t agree more as I have outlined in my book “Leadership Principles for Project Success”. Following the 5 leadership principles – building vision, nurturing collaboration, promoting performance, cultivating learning, and ensuring results – and understanding that each principle has to account for all other principles as one unit is a call for holistic leadership. It is crucial that an effective project manager knows that the heart and soul of a project is the team of which he/she is a part. Hence, a model of servant leadership is much more than a model that “could be used here”; I think it is mandatory if you seriously want to help create the context for high-performance teams. The combination of holistic, servant leadership and creating the right environment for your team to excel helps secure project success. Have a look at 2 of my recent posts on the very topic: http://tinyurl.com/3t8s2df and http://tinyurl.com/3t6gkrt. As good as this sounds there is a flaw in this approach. If the project manager is the only one ground him/herself in the project goal, this is definitely not sufficient. What is necessary that the team shares the same understanding of the project vision, i.e., the overall picture of the project. The team understands why the project was started in the first case. Your responsibility as a project manager is to ensure that your team is on the same page. Building a common project vision includes knowing your “playing field”. In other words, what are the rules of the game and who is playing. Who are the stakeholders and motivates them? Where does your team fit into this environment? What leverage does it have? Next comes the project objectives. It is important that those are SMART (specific, measurable, achievable, relevant, and time-boxed). Make sure that all people actively involved in the project understand and buy into those project objectives. If this is not the case, you may expect distractions along the way and forearm yourself. The second principle after building a common project vision is to nurture collaboration. An experienced project manager knows that it is first and foremost a member of the team and that the team is the heart and soul of the project manager. It is not about an individual “leading” a team. As a matter of fact, if you pretend to “lead” a team and act as if you were the boss of this team, are someone special, you are not leading the team. In order to lead a team, exercise true leadership, you are a member of this team and help build this team. This cannot be achieved by yourself. A project manager may facilitate this process. But it cannot be achieved alone. It takes a whole team to do so. Nurturing collaboration starts with defining and agreeing on the various roles and responsibilities. Plus you want to discuss and seek to understand the expectations of the team in a certain role and vice versa. What skills does this role have to have? What level of authority is this role accrued with? Once you have assigned individuals to the various roles and have secured the individual as well as group commitment, don’t stop there. Find out what motivates your team members to fill their roles. Why do they want to be on the team? You want to understand the expectations of your team members on the visible level AND you want to appreciate what motivates them to be there. Take their expectations and motivations seriously. Listen to them. Following the alignment of the various roles and responsibilities define the rules of engagement within your team and how you plan to interact with the “outside” world. Again, this is done by the team as a whole if at all possible. The level of flexibility and authority you and your team have may differ. However, if you are serious and honest about creating the right atmosphere for your team to succeed, you don’t just swallow pre-defined rules which have not been bought into by you and your team. As a leader you contribute to shaping these rules. 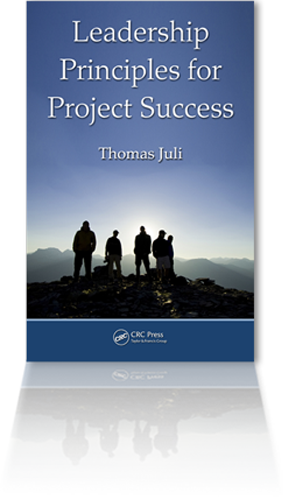 To learn more what it takes to build a successful team and thus pave the road to project success, read my book “Leadership Principles for Project Success”. Free reading samples are available at www.TheProjectLeadershipPyramid.net.